Here are the Best Garden Hoses of 2018. It's easy to see a garden hose and think that a hose is just a hose. But not all garden hoses are created equal. There are many sizes, thickness, materials and features to choose from. A small difference here in there may mean the difference of several more years of use. If you are in the market for a garden hose, then you've come to the right place. Sit back and take a few minutes to learn how to pick the best garden hose for you. In the chart below, you will find our top 10 rated garden hoses. For a more in-depth review of each model, please click on "Read Review." When choosing a garden hose think about what you will be using it for. Then follow the guidelines listed in this garden hose guide. To the common eye, a garden hose is just a garden hose. But did you know that there are different types of garden hoses? Well there are. I've listed the two main types here and what they do. 1. Lightweight Hoses - Most often lightweight hoses are made from vinyl. They are sometimes reinforced with mesh. They often have plastic fittings and are smaller in diameter. The price of a lightweight hose is usually much cheaper. With all this being said, you may have guessed what I will say next. That's right. 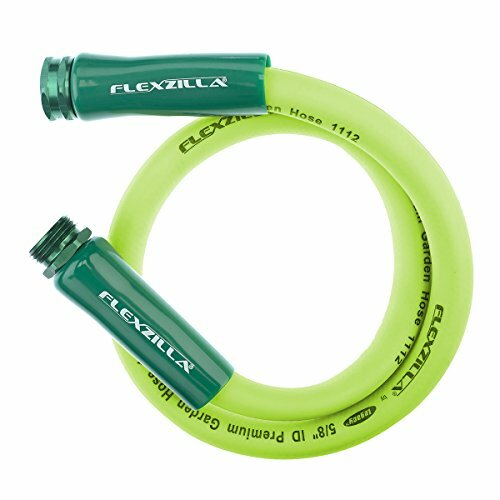 Lightweight hoses are also of cheaper in quality and not as durable. But they may get you through a couple of years of gardening if you take care of it and don't leave it out in the sun, etc. 2. Heavy Duty Hoses - Heavy duty hoses are most often made out of rubber. They are going to be more durable than a light weight vinyl hose. Heavy duty rubber hoses will withstand the weather much better and stay flexible in very cold weather. They can also be used for hot water. Generally most garden hoses come in 25, 50, 75 and 100 foot lengths. It might seem like the smartest thing is to just buy that longest one, then all your needs will be met. But remember, not only will a longer one cost more, it will also be heavier and more cumbersome to move around. You will also need more space to store it. Water pressure will also be decreased the longer the hose is. So think about the size that you need, and maybe go just a tad longer, but not too long. Whatever you do, don't try to stretch your hose to go those extra few inches. You may ruin the threads or cause it to stretch too far which will eventually cause leaks. ​Most garden hoses come in a 3/4, 5/8 or 1/2 inch diameter. The diameter is measured by the inside, not the outside of the hose. The bigger the diameter, the more water the hose can carry at a time. The most common hose diameter is 5/8 inch. A 5/8 inch diameter gives a good combination of water pressure and water flow without it being too heavy. If weight is an issue for you, then you might want to go with a 1/2 inch diameter hose which will be lighter to carry. ​Most garden hoses will be made of rubber or vinyl. Sometimes they are made of a combination of the two which is called a reinforced hose. Vinyl will generally be your least expensive hose. It is also the lightest option. But vinyl is more prone to kinking, cracking and splitting, especially if left out in the sun. Rubber on the other hand is stronger and will last longer than vinyl. Rubber also can carry hot water. If you are going to be using a garden hose through all seasons, rubber really is going to be your best bet. It may even save you money in the long run by not having to buy a new hose. A reinforced hose is a combination of rubber and vinyl with mesh linings added. These are not necessarily better. ​Garden hose strength is measured in "burst pressure." Burst pressure is the pressure at which the hose is likely to rupture. If you will just be doing basic gardening and using a sprinkler, then look for a burst pressure above 350 psi. If you will be using a pressure washer, you will want a higher psi. A flexible garden hose will last longer and be easier to wrap for storage. A flexible hose will also go around corners much easier. Rubber and also reinforced hoses are generally more flexible than vinyl hoses. ​The end piece that attaches to the spigot is the hose coupling. Less expensive hoses often have plastic couplings. Brass couplings are going to be more expensive, but brass will be more durable and leak-resistant. If you are on well water like I am, I'd rather pay more for a brass coupling hose than waste water due to leaky plastic couplings. You have probably noticed that there is a washer in your coupling. A rubber washer is going to last much longer than a plastic washer. ​Good hoses usually have a plastic or rubber collar extending 4 to 6 inches up from the hose coupling. This collar reduces the odds of splits and kinks. I'm guilty of pulling and stretching a hose to go that extra foot or two. A collar helps prevent problems from abuse. Garden hoses yet different also share some common features. They are all flexible tube like devices used to carry water. Most have a collar and all have a coupling where the hose attaches to the spigot. The main types of hose materials are rubber or vinyl. I've covered in detail the main differences under the "Considerations" section of this report. The main thing to remember is rubber is going to last longer, be more flexible and can carry hot water. Yet, rubber is heavier than vinyl. Vinyl is going to be lighter in weight but not as durable. Vinyl is more likely to crack and leak. On a plus side, it costs less. Your number one enemy to your hose is going to be the weather. It's best to not leave your hose out in the sun. However, I'm guilty of leaving my hose out all summer as are many other people. If you are not wanting to reel your hose in after each use, then go for a rubber hose. It will last much longer in all kinds of weather. I grew up drinking out of garden hoses. And I survived as did many of you reading this. But now we know that it's not a good idea to drink out of any hose just like it's not a good idea to ride in a vehicle without a seat belt. Most garden hoses contain chemicals like BPA , lead and phthalates. These chemicals are harmful to humans. If you will be drinking from your hose, make sure that you get a hose that is labeled, "drinking water safe." A garden hose will serve the purpose of transporting water to where you want it to go. Think about how far you want it to go (hose length) and how durable you need it to be. In general vinyl is not as durable and also less expensive than rubber. Rubber is going to last much longer. Budget - Do you have an amount that you want to spend on your hose? Vinyl hoses will be much cheaper than rubber hoses. Though they are not as durable, they may get the job done for several years if taken care of properly. Length - Think about how long you need your hose to be. The longer of course, the more expensive. Hoses generally come in lengths of 25, 50, 75 and 100 feet. 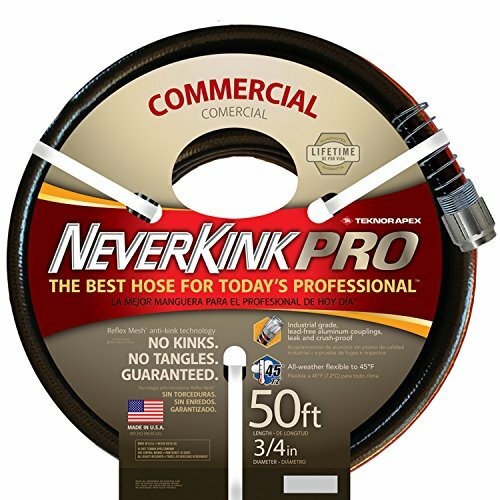 Material - Do you need a drinking safe hose, or is a vinyl hose going to do the trick? What will you use it for? - Think about what you will mainly use your hose for. Is it to run drinking water into your RV? (If so get a drinking water safe hose). Or maybe it's for your car wash business? (Make sure to then get a rubber hose that can handle hot water) Is it for your garden? (You get to choose then from vinyl, rubber or mesh). The main types of hoses are going to be rubber or vinyl. Rubber is more durable and can withstand hot temperatures as opposed to vinyl. Vinyl is less expensive and lightweight yet not as durable. After carefully reviewing the top 10 garden hoses on the market, I've picked the GLOUE 100 FT Expandable Garden Hose as my choice as the best garden hose on the market today. 1. What size hose do I need ? Measure how far you need your hose to reach and then add about 5 feet. Garden hoses generally come in 25, 50, 75 and 100 foot lengths. 2. What material would I like my hose to be made out of? Rubber will last longer, be more flexible and can withstand hot temperatures. However, vinyl though cheaper and not as durable, is lightweight. 3. Do I have an amount that I can spend on the garden hose? The longer the hose, the more expensive it will be. Also, rubber will cost more than vinyl. Think about how much you can spend so you have a range to stay in while you shop. A garden hose will allow you to have a garden, wash your vehicle, fill up your RV, fill up your pool and a host of other activities. A garden hose essentially takes your spigot and makes it available in other places in your yard. Here are some questions that are most commonly asked about garden hoses. What size garden hose do I need? What type of garden hose do I need? What is my budget for a garden hose? ​What type of garden hose reel should I buy? 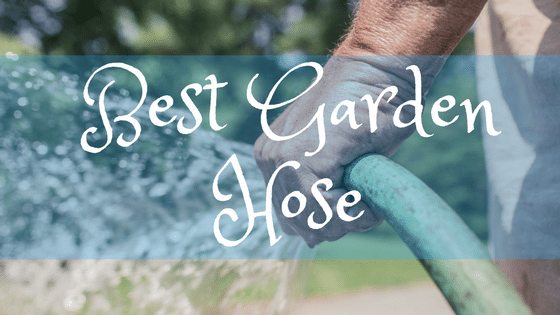 I've covered different types of garden hoses along with the pros and cons of both types. Also, covered is hose maintenance and care. I hope that this guide helped you to purchase a garden hose that will best meet your needs.